What happens if you get your market research wrong and sales don't take off? You don't have to call it quits, but it's clearly time to consider a new customer focus--and fast. "You can't just say, 'If we build it, they will come,'" says Kevin Daum, author of Roar! Get Heard in The Sales and Marketing Jungle (Wiley, 2010). "You've got to go where the business is." Here are three ways entrepreneurs have refocused their companies to jumpstart their businesses -- and you can, too. No. 1 -- Change the focus of your service. 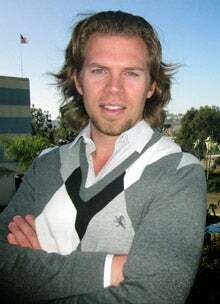 When Greg Muender was a junior in college, he founded TicketKick, a San Diego-based company that helped contest speeding tickets for California drivers. Back then, in 2008, he thought pinpointing his core market--college-age men--was a no-brainer, given their high number of speeding tickets. In those early days, Muender's customers came almost entirely by word-of-mouth, and business was slow. But about a year after starting TicketKick, Muender got a call from a driver who had received a ticket in the mail showing that a camera had caught him running a red light. Muender didn't know what to do for the customer, but he couldn't afford to lose the business. As he looked into the matter, he found that most drivers were stumped when it came to disputing red light tickets based on camera surveillance. "So many … people are online researching a red light camera ticket," Muender says. "A lot of people don't even know those exist." Recognizing the vast market potential, he developed a strategy for disputing such tickets, using previous traffic court cases and analyzing photos for discrepancies. He revamped his website to change the primary focus from speeders to red-light runners caught on camera and scrapped plans to run ads in fast-car blogs and magazines. The calls started pouring in. "We were seeing everything from 18-year-old males to … grandmas," he says. With TicketKick's new focus, revenue more than doubled to $815,000 last year. "Now, the work we do really gets us traction," says Muender of his eight-person company. "We aren't just spinning our wheels." No. 2 -- Shift your geographic target. 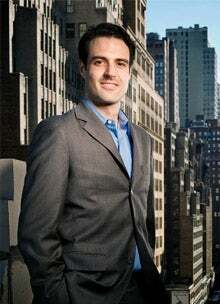 When Nick Blitterswyk and his partner started developing the technology for their wind turbine manufacturing company, Urban Green Energy, in 2008, they had a specific market in mind: U.S. urban areas like Manhattan. They designed their turbines to look attractive, make little noise and perform well in low wind speed conditions. A year later, when the first sale came in from a university in Australia, the partners were shocked. International business had never been on Blitterswyk's radar. He thought that sale might be a fluke, but when orders followed from Lebanon and Aruba, he realized he probably was wrong about his core market. The turbines were particularly popular in emerging markets where cell phone towers are largely diesel-operated. The company's low-vibration design means its wind turbines can be used as a cheaper alternative to diesel energy without disturbing tower signals. Realizing he'd been focusing on too narrow a market, Blitterswyk turned his attention to drumming up international business. He opened a Bejing office, designed multilingual ads and webpages, and established partnerships with distributors in 60 countries. Today, Blitterswyk's China office and factory employ 110 people, nearly four times more than his New York headquarters, and he is hiring more multilingual people. The international focus is paying off: Sales tripled to $5 million in 2011, with 70 percent coming from outside the U.S.
No. 3 - Reach the right age group. 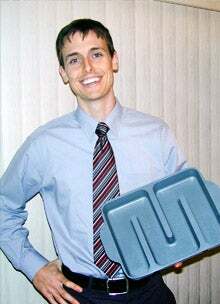 When Matt Griffin invented a novelty brownie pan and started Baker's Edge in Carmel, Ind., in 2005, he assumed he'd be selling mostly to women age 35 to 50. His pan contained three extra walls so that each brownie had at least two corner edges. But concerned that few people would share his love for brownie edges, Griffin second-guessed himself and played up the variety of foods his pan could be used for, such as lasagna and cookies. Despite the broader focus, early sales were sluggish. About a year later, at a hobby and gift show in Indianapolis, Griffin noticed that the few customers stopping by his booth were far younger and trendier than he'd expected. They didn't care about the versatility of the product; what they loved--like Griffin--were corner brownies. The next day after he printed new signs with a new name, Edge Brownie Pan, people lined up to buy. Griffin kept the new name and contacted retailers like ThinkGeek.com and U.K.-based Firebox.com, which sell to a hipster audience. Sales grew from $68,000 in 2005 to $1.25 million last year. "We boiled down the essence of the product to something that is easily understood even by its name as opposed to having a very generic sounding product," he says. "It's more important to have a singular strong message that's focused toward a specific group of people. You stand a better chance of gaining momentum."